The first volume of the brand new review journal Current Opinion in Biomedical Engineering is now available for you to read and download online via ScienceDirect. 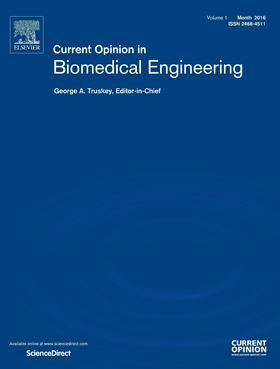 Current Opinion in Biomedical Engineering provides systematic and focused reviews of the latest developments in different areas of biomedical engineering including: biomaterials; biomechanics and mechanobiology; biomedical imaging; molecular and cellular engineering; neural engineering; tissue engineering and regenerative medicine; and novel biomedical technologies. Read the first volume, including the full editorial, online for free until December 31, 2017.